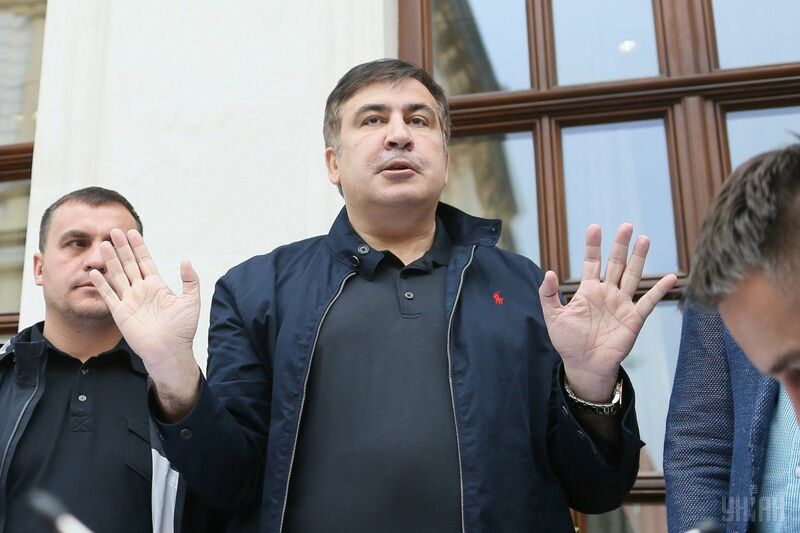 Saakashvili says neither Georgian nor Ukrainian authorities have serious charges against him. Ex-President of Georgia and leader of the "Movement of New Forces" in Ukraine Mikheil Saakashvili, who was expelled from Ukraine on February 12, 2018, says he will not apply for political asylum in Poland, where he was forcibly sent by plane. Read alsoGeorgia to request Saakashvili's extradition from Poland"I am under protection of Polish police now. I talked with the senior officials of the Ministry of Internal Affairs – they phoned me when I was at the airport in Warsaw. I will not seek political asylum in Poland," he told a Ukrainian TV channel. Saakashvili also commented on the possibility of his extradition from Poland to Georgia. "As they say in Odesa, stop pulling my leg! Which request [for extradition]? These Georgian authorities fear me like the devil fears holy water. They are simply clowns. If they had wanted to extradite me, they should have done this yesterday. I said from the very beginning that neither Georgia nor Ukraine has serious charges against me," Saakashvili said. As UNIAN reported, Saakashvili was detained by the State Border Guard Service of Ukraine in a Kyiv restaurant on February 12 and sent back to Poland from where he had arrived in Ukraine. The Ukrainian authorities claim Saakashvili's arrival was illegal.